Each Pirate class has its own set of companions that can become part of your crew. You can also buy companions from the crown shop, or in bundle packs. You can also acquire special companions through Pirate101 game promotions and Fansite contests. Some of these special companions are offered one time only and if you don’t pick one up, you may never have a chance to acquire them again. But not to fret, you’ll probably like some of the new companions offered through game upgrades. 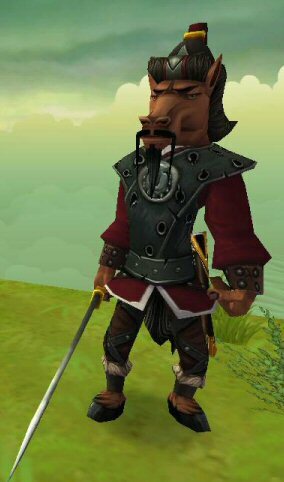 You can learn more about Companions on the Pirate101 Companion Wiki. And you can learn more about the quests that provide the companions on the Pirate101 Quest Wiki. Here we have our own information about Companions that may help your questing through the Spiral. Companion Guide – A simple list of the current companions in Pirate101 by Pirate Class. Why do some pirates battle with Subodai and others with Egg Shen? How do you acquire Mormo the Witch Doctor or Sarah Steele the Mouse Fencer? The Companion Guide can tell you who’ll find in the Spiral and how they come to be part of your crew. Each Pirate Class begins the game with a “starter companion”. Which starter you receive depends on which pirate class you have chosen when you created your pirate. From time to time all Companions reach levels of Epic Promotion and go through quests to acquire their new talents and abilities. These are the promotion guides for our companions. This is a work in progress, so check back often. Like the Starter Companions, these members of your crew will also go through quests for Epic promotions and gain new talents and abilities. Pirates share quests, but sometimes the quest will offer different companions. The Bad Company quest for instance will reward Mormo (Water Mole Witchdoctor) to the Witchdoctor class pirates, while the same quest will reward Sarah Steele (Mouse Fencer) to the Swashbuckler class. In addition to these Class companions, you can also pick up companions based on some of your initial story line when you first created your pirate. For instance in the Quid Quo Pro quest to recover the spice from the Presidio, the “old family friend of your parents” varies based on how your lost your parents. As you travel through the game and complete quests, more companions become available to you in the Crown Shop. For instance when you earn the Badge “Best Chum” the completion of that quest unlocks the purchase availability for your own version of Fin Dorsal. Shop companions, at least the ones I have so far, attain Epic promotions through paying a fee in pieces of Gold. If I’m not mistaken, each companion has their own fee. Fin was 2,600 gold pieces for his first epic promotion; but Garrett Hawkins paid 3,200 for one of his crown companions. There are so many different Companions that you can purchase that I’m probably not going to be able to list them all from experience. I’ve only purchased one of these Crown Shop Companions, but here’s what I’ve learned about him. 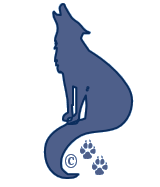 © 2013 – 2018 A Pirates Portal; Springwolf, D.D., Ph.D. All Rights Reserved. ← Pirates De Mayo Game Code Giveaway – Sunday!